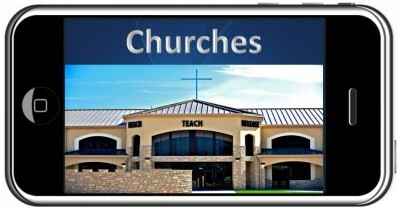 Churches and other religions organizations are becoming one of the largest consumers of SMS marketing technology in the United States today. Used primarily for mass communications, congregations are finding SMS to be one of the most powerful tools they’ve ever used. Here are 3 quick ways they’re utilizing SMS today. Getting the word out to an entire church congregation is a pretty big hassle. Especially when it’s a last minute update, there’s no better way than to send out a mass text message! Because 95% of all text messages are read within the first 5 minutes, SMS has become an amazing tool for letting people know what’s happening with events, cancellations, time changes and more. Most churches have some sort of prayer chain for people in need. Until now, it’s been a chain of phone calls from member to member. With the introduction of SMS marketing, churches can blast out a single text to the entire body asking for their prayers anytime it’s needed. Church leaders have found SMS marketing to be an incredibly easy way to send out daily devotionals and other inspiring messages. It really helps to keep the church body connected and allows religious leaders to connect with people in another personal and exciting way.